The night winds’ breath gained a sharp edge this week. The calendar tells me I’ve officially crossed into autumn. The world is going to sleep, or in darker terms, preparing to die. Yep, that’s seriously how I see it. Welcome to my dramatic mind. As someone who struggles with seasonal depression (I like to call myself a Light Addict), I fight to keep a bright spirit as the days shorten. When I turn grumpy about the natural order of things, I know there’s something under the surface for me to learn. 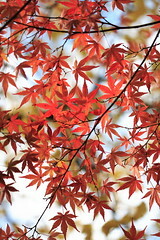 The earth needs to rest…and the maple leaves are whispering that I’m not stronger than the beautiful planet. Twelve months of summer would kill our world. Have you ever thought of that? The diverse seasons in the Pacific Northwest remind me that the cycles are absolutely necessary for supporting such a lush environment. Then I remember that in a life of creative expression, like mine, there are necessary times of raking dead leaves, plodding through fog and cold, waiting for the sun’s encouraging touch, or a green shoot of hope. Fall binds me inside my house to linger, curl under warm blankets, and slow down. Fall is a time for books by the fireplace, hot cider, scarves, corn mazes, and fiery tree colors. The more I embrace the seasons’ unstoppable flow, the more graciousness I learn to grant myself on days when I must let the leaves compost around me into creative fuel for tomorrow. Death and rest give birth to life. And because I know there’s life both within and beyond this, I keep smiling. What are your autumn thoughts? Does this season stir any emotions for you? What Is It about the Future? I’ve always loved fall – I hate the discomfort of being hot in summer, and anticipate the first chilly nights with excitement. This year, though, there is less anticipation… because of the fact that all of us are grieving the sudden death of my brother last month, we are all still living in each moment, taking it as it comes. I find that I’ve found far more beauty (even in the hotter days!) because of it. As I walked to work this morning, the sun went behind a cloud, like a great commander stepping into his tent to look over his plans… and he sent out his host, brilliant beams of light, to pierce the cloud. Of course, as soon as I needed to face due east, the sun marched back out to laugh in my face, but the glory rays stayed in the cloud for the remainder of my walk. It was pretty incredible. And a good encouraging start for a Monday. And… I guess that really didn’t have anything to do with autumn, except that in summer, I’d completely miss any part of sunrise. Hannah, what an incredible observation for your walk and the peace you felt in seeing the sun pierced by a cloud. I’m going to always remember now that I can see the sunrise in the fall, and I always miss it in the summer. You’re right! I’m still praying for your family as you all take each day as it comes. It’s a good sign that your eyes are still opened wide to catch the breathtaking things around you. Great insight, Elise. I agree with Hannah, though–I dislike sweating unless I’m exercising, which makes summers umcomfortable. I would much rather be a little cool than too warm. I need to remind myself that sunlight is healthy for things to grow, even though I prefer to hang out in the coolness of the shade. Scott, you crack me up. I can totally see you living in a world of eternal fall. 🙂 And yes, the sun makes things grow. And the dark lets them rest. We’ll help each other remember the goods.